Accomplishments Needed: Can You Help? Fortunately all you need to know is a little Python to contribute here. First, ensure you are running the new release. Find out how to install it by clicking here. Now familiarise yourself with our guidelines for what makes a great accomplishment (we are looking to avoid the ‘X number of SOMETHING achieved‘ accomplishments as they can be gamed and abused easily. We are instead looking for accomplishments for new experiences and skills such as ‘First Translation Made‘ or ‘First Contribution to the Ubuntu Sponsorship Queue‘. We have lots of ideas available on this page for inspiration! Now read the tutorial and create your accomplishment (thanks to Rafal Cieslak for his excellent work on the tutorial). With your accomplishment ready, submit it to the project and we will review it: details of how to do this are in the tutorial. 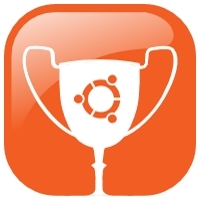 Importantly, while this blog post is seeking contributions for the Ubuntu Community collection of accomplishments, if you want to create a collection of accomplishments for your community or project (e.g. your software project, distro, local user group etc), you can use the same tutorial and resources to get started! Let us know if you have any questions! Join the mailing list – we have an active email discussion list and you are welcome to join and post questions. IRC Channel – we have the #ubuntu-accomplishments channel on the freenode IRC network. I’m still testing the system though..